The Core Influence of Marketing & Media. 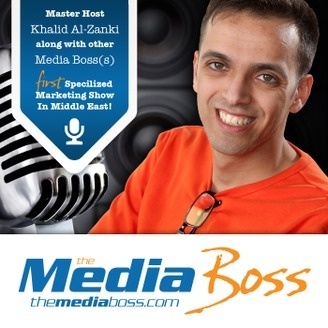 In The Media Boss Podcast, we help you to succeed with your marketing and media efforts, and this show is for you! Whether you’re expert who’s been in the field for years — or you haven’t even made your first move yet! We can all reach for higher levels of success in business and in life! This Week's Quick Tip: Art of Networking: Highlights some insights on The Art of Networking, what’s the purpose of networking and why it is considered as business tool, must-have skill and how do you benefit even if you own a small business. Feature Segment: In today’s feature segment, I’ll be sharing with you some thoughts and ideas to protect your launch from being killed. And few major things that could mess up your product launch easily, if you just avoid them! Here's a short list of things we focus on: Weak Offer. Bad Positioning. Cold List of Customers. Not Conversation with Your Customers. Weak Launch Story. Finally, I want your launches to be so successful. And I’d love to hear your success story. Launch #LikeABoss This Week's Blog: P0ach Blog - P0ach.com Announcements: We're officially listed in Stitcher SmartRadio, Stitcher allows you to listen to our show directly from your iPhone, Android Phone, Kindle Fire and other devices. Audio Plugs instructions mentioned in Listener Feedback Request. Follow The Media Boss on Twitter and Like The Media Boss on Facebook. Subscription Links: If you have enjoyed this podcast, please subscribe (and leave a review) in iTunes. 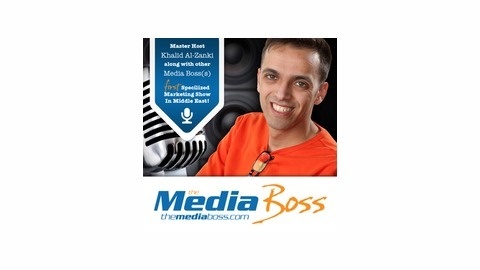 You can hear The Media Boss Podcast on Stitcher SmartRadio. (*) Stitcher allows you to listen to your favorite shows directly from your iPhone, Android Phone, Kindle Fire and beyond.